(Reuters) - Wall Street rose on Friday and capped off its strongest week since March after U.S. Federal Reserve Chair Janet Yellen said an interest-rate hike would likely be appropriate "in the coming months." Yellen's is the most important voice in a chorus of policymakers recently suggesting that the U.S. economy has improved enough to warrant tighter borrowing costs, with a growing number of investors now expecting a hike in June or July. While higher interest rates choke liquidity in stock markets, many investors see a potential rate hike as a vote of confidence that the struggling U.S. economy is finding its legs. "As we look at our place in the global economy, things just seem to be improving to a point where it certainly looks likely that June or July will be the next launching point," said Paul Springmeyer, portfolio manager at the Private Client Reserve of U.S. Bank. "With the increased strength, we should get up off of those historically low levels where we are." After Yellen's speech, traders raised their expectations of a June rate hike to 34 percent from 30 percent, according to CME Group. The Fed next meets on June 14-15. 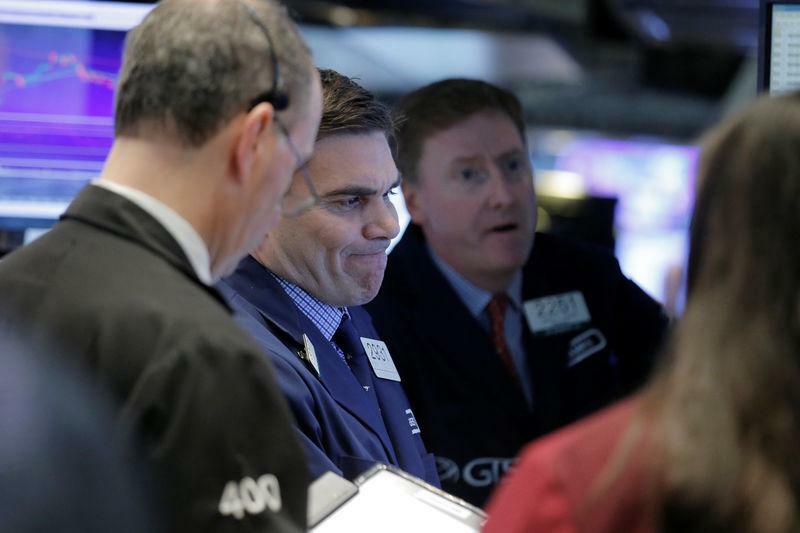 Data on Friday showed U.S. economic growth slowed in the first quarter, although not as sharply as initially thought. All of the 10 major S&P sectors rose, with the telecom (.SPLRCL) and financial (.SPSY) indexes leading the gainers. The Dow Jones industrial average (.DJI) climbed 0.25 percent to end at 17,873.22 points and the S&P 500 (.SPX) gained 0.43 percent to 2,099.06. The Nasdaq Composite (.IXIC) added 0.65 percent to 4,933.51. For the week, the S&P 500 rose 2.3 percent and the Dow added 2.1 percent, the best weekly performance for both since March. The Nasdaq gained 3.4 percent for the week, its best weekly result since February. For 2016, the S&P 500 is up 2.7 percent. Friday's volume was muted as investors checked out ahead of a long weekend, with U.S. stock markets closed on Monday for the Memorial Day holiday. Just 5.6 billion shares changed hands on U.S. exchanges, well below the 7.1 billion daily average for the past 20 trading days, according to Thomson Reuters data. Cyber security firm Palo Alto (PANW.N) dropped 12.36 percent after a wider-than-expected quarterly loss. GameStop (GME.N) fell 3.93 percent after the video-game retailer forecast lower-than-expected revenue and profit for the current quarter. Advancing issues outnumbered decliners on the NYSE by 2,034 to 974. On the Nasdaq, 1,905 issues rose and 896 fell. The S&P 500 index showed 22 new 52-week highs and no new lows, while the Nasdaq recorded 73 new highs and 19 new lows.